If I come to ask you questions like “hey what’s your training plan? how are are you gonna run this sunday? What are you doing on the track this week? Any planned tempo run this Friday? What’s your planned mileage this week?” Chances are that you’ll be able to answer me with a clear answer. But what if I ask you questions like “are you doing any strength training at the moment? Why are you doing Abs and Planks? 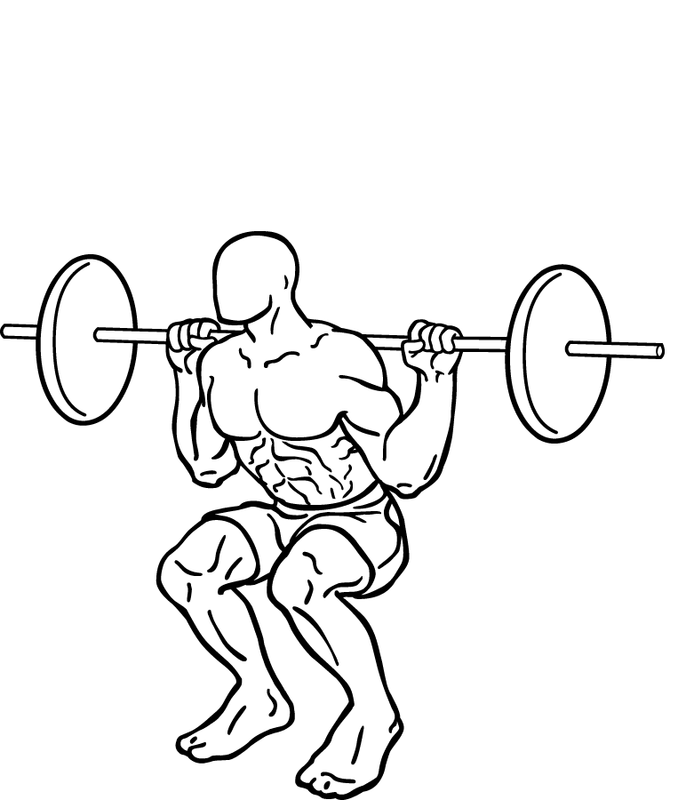 How heavy can you squat or deadlift? what are the benefits of the current strength routine you’re currently doing?” Would you be able to answer me with a crystal clear answer? Do we need to strength train? It all depends on your goal. If you just want to run for fun, with no particular goal (i.e. specific time). Then I would say you can probably do without it. Strength training is supplemental, it is not meant to be a replacement of running but a complement. Running is a very repetitive discipline, you use the same group of muscles over and over and it is not hard to guess why we are prone to “overuse” injuries. Strength training helps to work your muscles imbalance, the stabilizers supporting your main muscles. Having a strong core enhances your endurance, delay fatigue during late stage of a race. After running 30km into a Marathon, your legs are of course tired. But if your core muscles , secondary muscles(abs, lower back etc) are still in a good shape to assist a nice and clean running form, your brain will only have to deal with the legs. It is just common sense, if your brain has to deal with less “problems”, it will take more time to send fatigue signals. I’m sure you’ve heard already that strength training is good for “Stabilizers”. Concretely speaking, what the heck are they anyways? Why would you work for stuff you don’t even know what they are for? Concrete example: your Gluteus Medius are crucial for walking and climbing. You might have no idea where they are but it doesn’t matter, they are vital for running. We have a ton of stabilizers and their role for each one of them is out of the scope of this post. Let me try to explain. Imagine your runner’s body as a Bazooka. You want to fire your Bazooka on a target (e.g. your boss), where would you stand to achieve that? On a very firm and solid ground? or from a sketchy wooden canoe? Your main running muscles (quads, hamstrings etc) are the Bazooka, your stabilizers muscles are the support on which you will fire your weapon. One difference: you can choose to fire your Bazooka from the sketchy canoe but the force from your Bazooka is going to throw you and your boat into the water and sink all together. In our case, our brain will call its survival instinct and it will not let you fire your muscle, meaning you will not go faster than what your stabilizers allow. So you can have the strongest and fastest hamstring in the world, but if the stabilizers it relies upon are weak, your super hamstring becomes unusable to its full potential. In a nutshell, power is nothing without control. 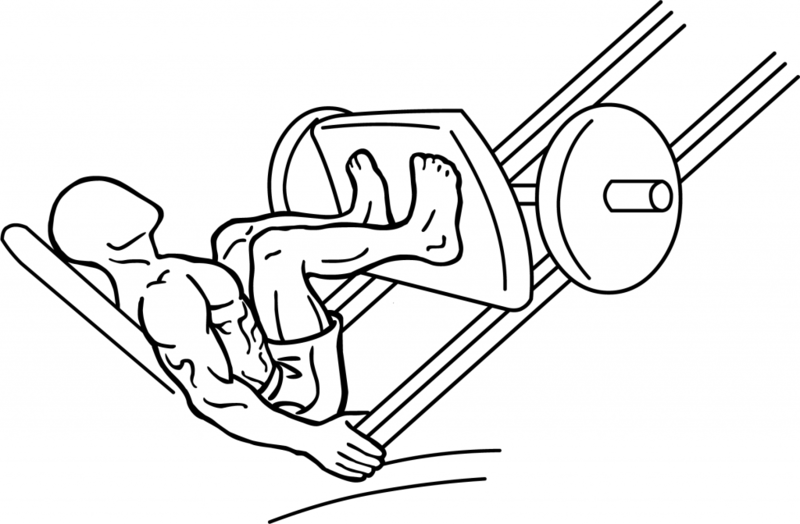 When you go to the weight room, have you wondered if you should use the leg press or the old school barbell ? Whenever you move, say running for example, at each moment, hundreds of muscle fibers are activated for contraction. The contraction signal comes through a motor neuron (a nerve fiber) that each muscle fiber is attached to. A motor unit is defined as the motor neuron and the muscle fibers it innervates. Muscles requiring more fine and accurate control have greater ratio motor neuron / muscle fibers (e.g. your eyes have a 1:1 ratio of motor neuron / muscle fibers, and your quads have a much lower ratio, one motor neuron innervates many quads muscle fibers). Your brain, more precisely your central nervous system is responsible for recruiting the appropriate number of motor units needed to perform a specific task, its role in muscle contraction is thus crucial when precision comes into play (now you know why when you’re tired, it gets hard to read because your nervous system is too weak to make your eyes function optimally). 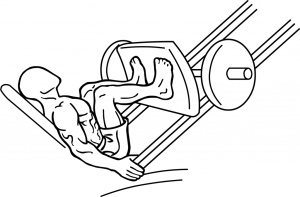 Back to the Leg press vs Barbell squat: I can bet that you will always leg press heavier than you can barbell squat ! When you leg press, you are recruiting far less motor unit. The brain can recruit a very limited number of motor unit at a given instant. 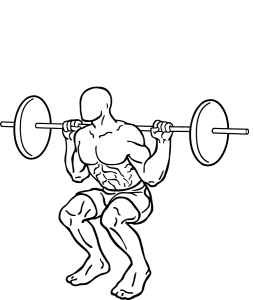 When you barbell squat, you are calling lots of stabilizers muscles: lower back, core etc.. They are needed to keep you balanced at all time so that the bar doesn’t crush your back ! When you leg press, you brain can focus mainly on two groups: quads and glutes, so much more power will be available for you legs because more motor units will be available. Running is basically a bunch a single leg body squats in motion, at each moment you are recruiting a maximum number of motor units to keep your body in balance. So when you go to the weight room and you spend your time doing leg press (or any other type of guided exercises), you are sharpening your Bazooka, but you do nothing for the ground on which you’re standing: you are not working your stabilizers. Through proper strength training involving stabilizers- body weight, unguided and free weights – you are making them stronger and you also teach your brain to recruit more motor units at the same time (more on that on part 2). With strong stabilizers, you will be much less injury prone (yes, true story). It takes about 6-8 weeks to gain true strength (real muscle growth). You might have heard some your colleagues or friends saying things like ” hey I’ve been to the gym for only 2 weeks and with the help of my personal trainer I can now squat 60kg while I could barely do 40kg when I started!” Now you know that it is not due to muscle growth, your colleague did not get stronger per say, he “only” taught his brain and nervous system to recruit more motor units 🙂 but don’t tell him, he’ll think you’re just a nerd anyways. Does it mean you should stop intervals and do lots of strength work? No, again the specificity principle, you’ll get better at running by running, and if you’ve built an iron type of ground, super solid, but your bazooka is cheap and weak, you cannot expect to shoot anything big. If you’ve been incorporating weight lifting as a supplemental training keep doing it. If not and if you’re serious about improving, think about it. I see people not really excited about it because they “don’t have time”. I hear you, but I believe the main reason is that true benefits don’t show immediately, it actually takes a long while. And as runners, patience is generally not our virtue, we want results and we want them quick ! Unfortunately one cannot expect that from strength training but I am a firm believer of long term high benefits. Since it is supplemental you will not see any effects if you do just that. It has to be in conjunction with your intervals/tempos etc… Strength training can improve your speed endurance, which will lead to faster intervals which in turn will lead to a 5k PB 😉 – it is as simple and complicated as that ! Stay tuned for the Part 2 of this post where I will try to explain what kind of exercises (type and timing) are good for runners. For example, planks, abs, push ups etc… Kind of workouts to teach your brain to recruit more motor units, that kind of stuffs. Well researched and written. Looking forward to Part 2. From my personal experience, strength training is efficient to avoid some injuries and can make you a better sprinter in few months (which means in a very short period of time). Regarding endurance athletes, I am not convinced. I would tend to think it would slows down your progression to be an accomplished runner; that is if you plan to get your full potential as a runner in a 7 to 8 year training plan. I never said that any type of strength exercises are beneficial for runners and you know I’m a huge proponent of the specificity principle. Just for you to know,I’ve read most of the articles and all of the books of Owen Anderson (the author of the article). He is actually a big proponent of strength training for runners. His a running coach and train lots of elite Kenyan runners, he goes by the “intensity and strength training” type of coaching. Also when I say “strength training”, it is in a very broad sense, just like O. Anderson does: it’s not restricted to “gym workouts” and goes above and beyond the barbell squat ! (again I’ll give you my point of view in my second part). Of course squatting twice your body weight will not make you PB your marathon, but if you’re not even able to squat say 40kg while weighing 70kg, then I think some work has to be done. It all comes down to finding the right balance, from very general strength fitness to very specific (in our case running specific): the log of diminishing return will come much faster for a slow barbell deadlift than a series of fast single leg squat ! Especially in trail running, you need muscles. You can acquire those muscles by doing trail running itself, but when you don’t live at the foot of the mountains, strength training is a good substitute. 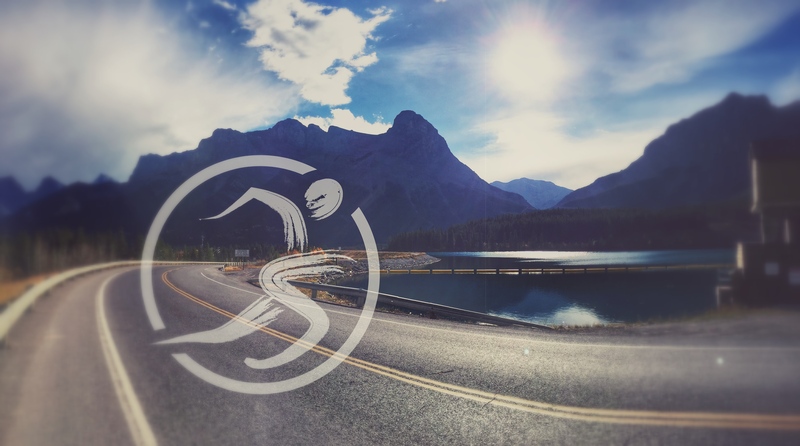 As for road running, as you say, it is very repetitive and only very specific muscles are trained, so you need to strengthen your stabilizers separately. I’m looking forward to see what exercises you will recommend. I believe trail running needs even more strength work because of the crazy amount of time you guys spend on your feet to avoid roots and climbing insane hills ! Great article Harrisson! I know is all true. Now I just need to practice it. Great article Harrisson. I know that it is all true. Now I just need to practice it. I never found weight work helped my distance running. However since turning 60 I am going to the gym regularly….3 times a week for an hour. I also do up to 200 push ups a day. After my next Marathon in a few days time I plan to up the weight work.